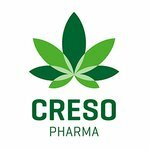 It has been a busy two months for Creso Pharma (ASX: CPH) since we last featured the company in November 2016 and certainly a happy new year thus far with the news that CPH recently obtained the first ever EU registration for two CBD-based animal feed nutraceutical products. If you hadn’t already heard, cannabis is currently undergoing a breath-taking liberation across the globe as doctors, clinics and government departments all gradually realise its medicinal and commercial endowments. The medicinal cannabis industry, whilst attracting a lot of publicity, is still in its early stages as a new niche with very few current or even experienced market participants. Even the big pharma companies have so far been apprehensive towards taking significant stakes in medicinal cannabis, and have preferred to wait out the legislative rigmarole making headlines in the US, Europe and Australia. The low-risk health profile of medical cannabis (MC) has finally gained enough traction to allow legislation to soften… which is why many investors have raised their binoculars on the lookout for bright medical cannabis companies at an early stage of development. There could be a light at the end of the tunnel for chronic kidney disease sufferers, suffering from a rare form of the disease known as focal segmental glomerulosclerosis (FSGS). In fact several multi-million dollar companies in the space are dedicated to delivering life changing therapies to people living with chronic kidney disease with significant unmet medical needs. As Australia prepares for the legalisation of medicinal marijuana in November – following bipartisan support at a Federal level and a formal decision by the Therapeutic Goods Administration – the future is looking encouraging for medical cannabis company MGC Pharmaceuticals (ASX:MXC). Calendar year 2016 will go down as a dynamic period of growth in the life of Cellmid (ASX: CDY), a revenue generating life sciences company with lead programs in multiple disease indications and a consumer health business which has just come into its own in the last 12 months. While MMJ PhytoTech (ASX:MMJ) has operations all around the globe, for its growing operations it has bunkered down in Canada and already established a solid base there. There are several reasons for this: Canada has a more advanced growing industry than anywhere in the world; its TSX listed medical marijuana stocks are gaining traction on the market and regulations are well and truly opening up. Dimerix (ASX:DXB) has just completed its “pre-IND” consultation with US regulatory body the Food and Drug Administration (FDA) with some encouraging outcomes reported. The big news for DXB is that its intended Phase 3 DMX-200 trial will be positioned as an adjunct therapy and not a fixed dose combination therapy. 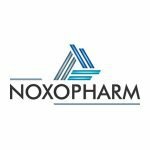 Medical Cannabis Stock MXC Approaching Revenue Uplift? 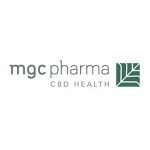 Having gained regulatory approval to sell its MGC Derma Anti-Aging line of Cannabidiol-based cosmetic products in the US, MGC Pharmaceuticals (ASX:MXC) recently received its first revenues under its exclusive Californian distribution deal. The first year of the deal is expected to net MXC approximately AU$1.76M – a substantial number for this $51.5M capped company that has only really been on the ASX boards for a short amount of time. 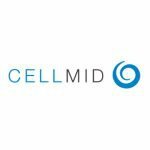 After generating strong sales figures across Japan and Australia for its hair loss product evolis®, Cellmid (ASX:CDY) has now taken its first step in cracking the major US market. The global hair loss market is estimated to be around US$7BN annually, with topical treatments accounting for $2.3 billion of that market. There are just 32 companies in Canada that have a license to grow medical cannabis – and MMJ PhytoTech, Ltd (ASX:MMJ) has just officially joined their ranks – the first ASX listed company to do so. A licence to grow medicinal cannabis is not easy to get your hands on in Canada – over 1200 companies have tried, and over 1000 have failed or given up – indicating the stringent nature of the country’s health regulators. With a total global market of $90 billion, successful hair loss products can generate hundreds of millions of dollars in revenue. However the current market leaders may soon be under pressure from one particular ASX listed life sciences company.